When Silvio Berlusconi was forced out of power in 2011 by foreign and domestic pressure, no one ever thought he could return to Italian politics again—let alone its forefront. Yet, he won 29.2 percent of the vote in 2013, enough in the Senate to deny his centre-left opponent, Pier Luigi Bersani, the majority to form a government. As a result, he has become an integral part of closed-door negotiations between various coalitions to form a new government. Berlusconi has been able to move in and out of the office of prime minister for nearly 20 years and has been a player on the political scene for longer than that time. Originally rising to power by exploiting the power vacuum left by the demise of the traditional parties, Berlusconi has been able to retain political power time and time again. Of course, a major pillar of his political strategy has been populism and personal image. Indeed this political guile has been used to appeal to voters on issues such as regionalism and foreign policy. In the vein of Machiavelli, he has adapted to political realities for electoral gains. The demise of old, traditional parties like the Christian Democrats and the PCI (Italian Communist Party) has carved out a vacuous chasm in the power structure of Italian politics. Indeed Berlusconi did not just fill the power vacuum; he filled a desire expressed by many Italians: they wanted a new political party (Rajan). Italians wanted a new party that was a break from the past political structure which voters considered tainted and corrupt. He used his financial and media muscle from his broadcasting empire to create a new party, Forza Italia or FI (Chandler). To fit in with the prevailing thought of the times, he presented himself and FI as champions of the free market after the collapse of the Soviet Union (Newell). Despite losing power after several months in 1994, he was able to return to power in the elections of 2001 (Newell). Although he did capitalize on unpopular actions made by the Prodi government, the root cause was the instability of the centre-left and left parties (369-370 Di Scala). The coalition parties could not agree on how to deal with Berlusconi and economic policies. This inability to manage political realities also presented itself in the 2008 elections as Berlusconi returned to the seat of Prime Minister because workers abandoned the leftist parties and diluted regional parties’ share such as the League of the North (383-384 Di Scala). The 2013 election, the left put up a “lackluster campaign” (Faris). The fractured party system has shaped each of the elections he has won. Berlusconi and his political parties, FI and The People of Freedom, have always incorporated populism—they have always paid attention to issues that have a broad appeal to the electorate. The two parties have appealed to the people’s distrust of state institutions; especially to voters in the north. Ironically, FI has characterized itself as a break from the corrupt era of Tangentopoli. For the 2013 elections, Berlusconi has embraced the “unpopular reforms proposed by (former) Prime Minster Monti…and running away from his own policies- in particular an unpopular housing tax.” His political positioning helped him seize the spotlight in the run up to the election and dictate the debate (Faris). Indeed, Berlusconi is a pragmatic politician who is able to change his view and even take up policy positions of his opponents and flip flop on prior opinions. 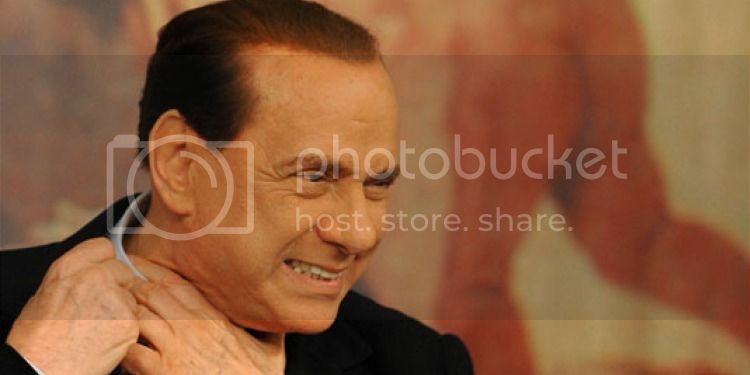 No doubt, Berlusconi’s power is derived from his personal brand. Despite numerous scandals, legal suits, and fervent opposition from certain groups, he is able to retain a broad base of support. He has built his image as a person of the people and a person who is “uniquely qualified to led the people” (Newell). His parties are candidate center parties. The fact he single handedly changed the name of his party reveals that the FI is indeed a party of one. His government’s policies reflect the personal center focus. Foreign policy makes a notable case. Berlusconi took over the foreign ministry portfolio in 2002 (Newell).This helped to bolster his image at home, but there were drawbacks. It meant foreign policy was short lived and would not survive beyond his term because his stances on international issues were less about national interest and more influenced by domestic political concerns. When Italy had the European presidency, he was unable to take advantage of it to advance his prestige and achieve policy goals. He ended using the office to attack his domestic political opponents. He did learn from this lesson and was able to use the austerity measures pressured by various EU members to translate the anti-EU sentiment among many voters into a strong standing in the 2013 election (Chandler). Sivlio Berlusconi appears to have made his resurgence onto the scene of Italian politics. Between entrepreneurship, Forza Italia and “bunga bunga” parties he blends public persona with partisan politics on a regular basis. However, this political rebirth may be short lived, as the numerous judicial investigations of which he has been the subject may also make a resurgence. Indeed, previous political parties saw their downfall at the hand of public perceptions viewing them as corrupt. Silivio Berlusconi, for all the charm that he represents in the Italian body politic, may not be able survive another cycle of backlash from the public sphere. Barber, Tony. “Berlusconi’s Burden: Italy’s Economy.” Financial Times. 25 May 2004. Print. Chandler, William. “Poli 120I Italian Politics.” University of California San Diego. La Jolla. Winter 2013. Lecture. Di Scala, Spencer. “Italy: From Revolution to Republic, 1700 to Present Fourth Edition.” Westview Press. 2009. Donadio, Rachel. “Berlusconi, Magnetic and Divisive, Whose Politics were Personal.” The New York Times. 12 November 2011. Print. Newell, James. “The Politics of Italy.” Cambridge University Press. Cambridge, United Kingdom. 2010. Rajan, Amol. “Profile: Italy’s Arch Seducer: Silvio Berlusconi.” The Independent. 2 April 1994. Print. Roux, Christophe. “When politics matters: Federalism, Italian style.” Italy Today. Routledge, 2009. P. 60-72.